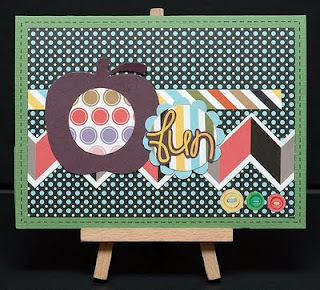 Back to School Week Challenge at American Crafts. I already made my first layout about this challenge, but as I browse thru our photos, I bump into this one and so, I decided to make another layout. I used Sketchy Thursday sketch for this challenge as well. I also made a card out of the scraps left from the layout I did. I used Mojo Monday 104 for the sketch. I love that page. What a cutie pa-tootie to boot! And I love that paper. Thanks for playing, dear! You are the queen of great borders! And those pics are so stinkin' cute!!! I am so glad you are playing along with us! how very very cute! love these projects! 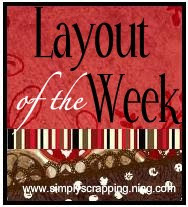 love your layout and the fact that you were also able to make a card from your scraps!